There have been moments when I’ve been in church and my mind drifts from the creed I’m reciting or from the hymn that I’m singing and wonders, of its own accord: What am I doing here? What are WE doing here?? Couldn’t this building be used for better purposes? Couldn’t we all be doing something to improve the community with this hour? What does this hour have anything to do with the rest of my life? And what is it that keeps me coming back to church? These are moments in which I’m participating in tradition, but the tradition isn’t connecting to my context. 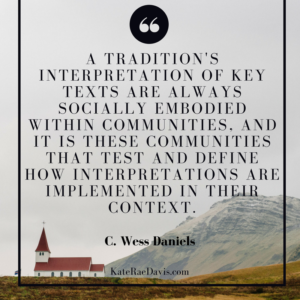 In language that C Wess Daniels, author of A Convergent Model of Renewal, would use: those questions appear when my community is being conservative to the tradition without being emergent to the context. I imagine my parents experienced the other side of the spectrum when they visited my college church. I think they were wondering what anything they were seeing had to do with the Christian tradition they knew. It was, perhaps, emergent without being conservative. Contextualized in the culture, but lacking tradition. Faith communities that are convergent are dedicated to building on the existing tradition in a way that applies that tradition to the current context. It’s a tradition that goes beyond the one-hour service and into the community’s life, goes beyond the walls of the church and into the neighborhood. Tradition is everything that has shaped an existing community. It includes practices, values, and relationships. It tells you where to sit and when to stand. Tradition is inescapable. Daniels writes specifically of the Quaker tradition, but the same is true for every denomination and faith community. Even for a brand-new church plant, the tradition of the community is embedded in the individuals making up the community. If a church plant is comprised of recovering evangelicals and lapsed Roman Catholics, that will shape the community’s practices and values. In A Convergent Model of Renewal, Daniels honors the importance of tradition while acknowledging that conflicts arise between a tradition and its application in the ever-changing context of culture. On the other end of kneejerk responses, tradition is abandoned altogether. In contemporary USAmerica, I think we see this in the rise of the “spiritual nones” (atheists and agnostics), the “spiritual but not religious,” and the “spiritual dones” (professed Christ-followers who don’t participate in a tradition). Both the traditionalist/anti-secular and the anti-traditionalist/emergent responses are somewhere between inadequate and nonsensical. Daniels is fighting a hard battle on two fronts. Traditionalists and relevance-seekers are so often entrenched in this either/or mindset that they’re hardly on speaking terms with one another — and Daniels is adamant that we need both. And not just that we need both camps to exist, we need them to actually become one camp that works together, appreciates one another, even learns from one another. Daniels argues that when conflicts arise between tradition and context, what’s needed is a transformative convergence that holds both tradition and culture together. From the tradition side, Daniels gives models of contextual theology (Ch2) with understanding that all theology is contextual. From the emergent culture side, he discusses ways that people actively participate in culture (Ch3). He illustrates why it is not a worthwhile cause to combat culture or tradition, arguing that the two are better together, and that we can arrive at that ideal through remix. 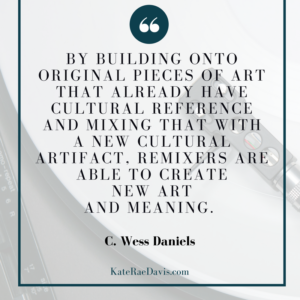 “Remix shows tradition and innovation working together to create something new.” As I’ve written before, I strongly believe that Jesus lived this way and wanted us to follow him as remix masters. I write on the ways Christians use remix in art and ritual. But Daniels looks at the life of the community as the center for and product of remix. For him, remix occurs in the full life of services and relationships and daily living. He argues that the remix isn’t only in the art we produce but in who we are and how we live — together. And this is why I find his work courageous. The traditionalists don’t want anything transformed: change from the nostalgia-tinted past is what got us into this secular mess in the first place. At its extreme, traditionalists would prefer to do away with “secular” culture entirely and stick to tradition as they understand it. 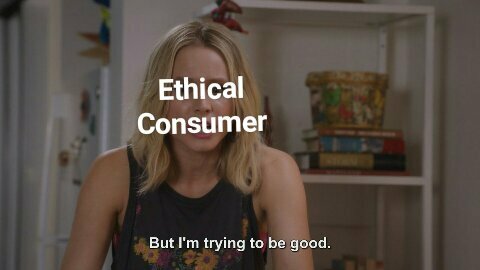 And the emergents don’t want anything to do with tradition: it’s tradition that has messy hierarchies, obsolete beliefs, and irrelevant practices. At its extreme, emergents would prefer to do away with tradition entirely and create something new, without all the problems of the past. These two camps rarely come together for religious discourse. Of course, when we try to live in either of these extremes, things seem to only get worse. The Puritans, for example, came to America hoping to build their infamous City on a Hill. It clearly didn’t work out as well as they hoped, largely, I would assert, because they didn’t think through the ways that culture is inescapable. As long as they’re alive, they’ll need to eat and to manufacture and to relate – all these messy things that make up a (ahem) culture. Throwing away tradition to make something “without all the problems” is equally laughable. How many church plants have tried to make a denomination without the hierarchy and politics and rigid rule- and belief-systems of their parents’ churches, only to find they had replicated the same structures? I won’t name names. Personally, I’ve tried to choose is something in the middle of these extreme approaches (although I’ll admit I’m sometimes tempted by the emergent side). 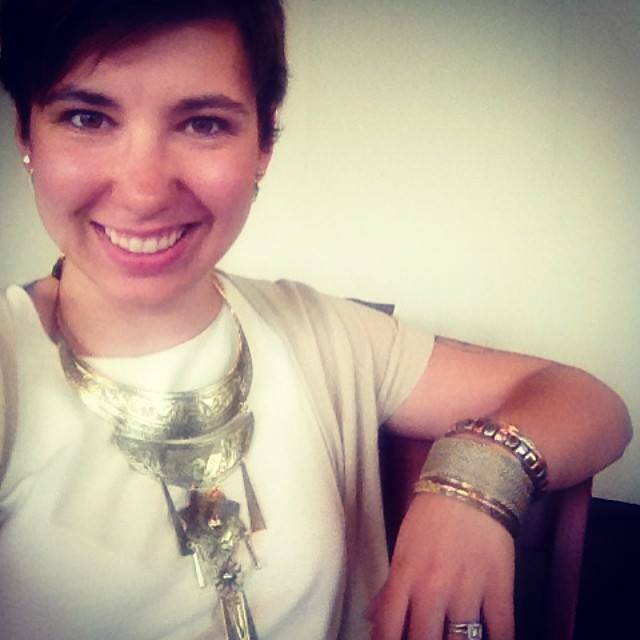 It wasn’t an option for me to stay in the faith tradition I was raised in, so I did leave. But it wasn’t an anti-tradition move, it was an anti-that-tradition move. In the Episcopal Church, I found a tradition that is more suitable to convergence. It’s this tradition to which I’ve committed myself, knowing that I will work within it to modify and advance it for our current time. And knowing that I’ll have to teach future generations to do the same for their times. Daniels writes about the importance of committing to a tradition and the culture at once. He encourages people to become adherents to their tradition in order to create change within it. Adherents experience the conflict between church and context, but rather than entrench themselves on one side of the fence, they work to dismantle the fence. Adherents develop self-awareness of problems with the current church and – rather than denying or running from those problems – they look to their tradition to overcome the crisis. The tradition, for adherents, holds both the problem and the solution. The solution is in the own tradition’s ideas and practices that are simply applied in different ways, or perhaps applied for the first time in centuries, in order to accommodate the different context. Adherents step into the complexity of conflict in order to resolve it. Adherents don’t hate tradition, and they don’t fear change. The point that cannot be overemphasized. When people “leave the church to follow Jesus,” they’re claiming — often against their spoken belief — that following Jesus is an entirely individual activity that has no need for community. But renewal of the church comes from “the very practitioners who have devoted themselves as apprentices to its texts, virtues and practices.” Not by leaving those traditions to prove how messed up it is. Daniels’s work is valuable not only because he offers hope that this is possible, but he actually explains different ways that it’s done. And what’s more than the concepts alone is that Daniels shows us how it’s done. The subtitle of the book is “Remixing the Quaker Tradition in a Participatory Culture,” but the ideas and its application are much wider than the Quaker tradition alone. If you’re not Quaker, the book is still immensely useful. Consider the portions on Quakerism as a case study for the work to be done in any faith tradition. Chapters 5 and 6 go more deeply into Quaker history and identity than I found useful, but they do provide a framework for how these concepts are discerned and embodied in a real world setting. The concepts are what’s key; the Quakerism chapters simply show how the concepts play out when applied. Well, that’s way more thoughts than I normally give in a review. I tried to give a thorough overview of his concepts because I’m aware that this work isn’t for everyone; it’s quite academic in tone. That said, I’d highly recommend it –at least the first four chapters—for graduate students or pastors seeking to understand the role of tradition in today’s world, and to understand how to do “relevance” in deeper ways than rock band music. Disclosure notice: Daniels sent me a free copy of his work after reading one of my posts on remix. He thought that our ideas are in the same vein and that I might appreciate his work. I may not have picked up his book if I hadn’t been sent it, but I’m so glad he did. It’s a model for the church going forward that I’d been hoping for. Are you more tempted by the impulse to too-strictly adhere to tradition or the impulse to abandon tradition? Why do you stay, or why have you left?